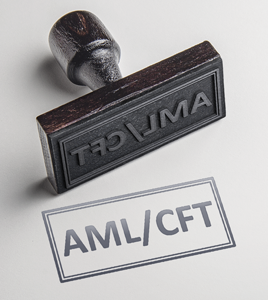 The Anti-Money Laundering and Countering Financing of Terrorism (AML/CFT) Amendment Act 2017: January is around the corner and we can still help with making the administrative processes easier. Whether you need to verify a document or certify a document, in order to ensure that you systematically collect all of the relevant information, a customised rubber stamp can help. We even have some pre-fabricated ones to choose from. The Anti-Money Laundering and Countering Financing of Terrorism (AML/CFT) Amendment Act 2017 is going to mean extra administration for certain professionals whom have not been affected up until now. The professionals affected will now extend to include conveyancers, accountants, real estate agents, businesses trading in high value goods, businesses that provide trust and company services and even sports & racing betting. The onus will be on some being able to ‘verify’ documents and yet others being able to ‘certify’ documents. The information blog provided here is not intended as a comprehensive guide to all involved, but rather as a specific service in the field of making administration far easier with our rubber stamps. If you need to obtain more information relating to dates of implementation and what the Act requires of you, please refer to the ‘Resources and Tips’ section below. Steps and processes in obtaining the right ‘legal rubber stamp’. View our catalogue of formats and examples of ‘legal rubber stamps’ with the link provided below. Some feature prefabricated ‘certification’ or ‘verification’ rubber stamp layouts, which we use as a basis before customising to suit. From the examples you may select from one of them and follow the process online, where you will be prompted to put in your own details to suit your needs.Legal Fraternity Stamps Page. Alternatively, please simply email us [email protected] outlining your requirements and we will send you a pre-production proof sheet illustrating our understanding of your requirements, free of charge. Here are some more resources regarding “The Anti-Money Laundering and Countering Financing of Terrorism (AML/CFT) Amendment Act 2017”.